If you wish to attend an event, please download the form and send to the Hon Sec. Thank you. Paul Hop Shop, will give a personal account of the story of Ladybird Books – their authors and artists, why so popular and their place in social history. Please bring along your favourites! Wed 8pm Mike Bolton taught history at the school for 38 years and retired as the Undermaster. He is Chairman of the Trustees of the Almshouses. 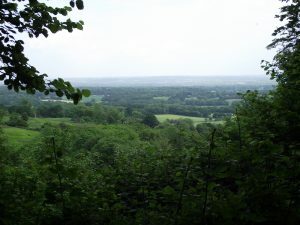 Wildlife Trust/Sevenoaks District Council, will talk about how the project was developed and work being carried out on the Commons which are linked by the Greensand Way and extend from Seal Chart to Crockham Hill. Pub, we will be given a guided tour of the house and its garden. The castle, now a private house, was built in 1616 on the site of the ancient castle. The tour, which includes an outline of the history of the building, covers all the main rooms. Tues 10.45am A fresh perspective on the ancient heart of the City. The guided tour includes a visit to the old meat market in the morning, followed in the afternoon with a tour by a resident Charterhouse brother, finishing 4.15pm. There will be an opportunity to stay on for the 5.30 evening service. Sun 12noon Drinks and canapés at the Old Vicarage. Please bring a plate of savoury or sweet canapés. John the walls of this category B prison. You will be served in a modern spotlight dining room with a delicious 3 course lunch, cooked using fresh, seasonal ingredients and latest cookery techniques, all in an open kitchen and prepared and served by prisoners. The restaurant is a major part of the Clink Charity’s prisoners rehabilitation initiative. Wed 8pm John Head, a third-generation vet from Cornwall, will draw on his grandfather’s extensive diaries attached to the Inniskilling Dragoons in the 2nd Boer War 1899/1901 and explain why horse losses were so much greater than in the 1st World War. Wed 8pm Matthew Ball, a local author and historian, will consider how life in Sevenoaks in 1919 differed from that of 1914. He will talk about the hidden casualties of WWI, and the impact that conflict, along with the influenza epidemic, had on the lives of local people and their families.